“Call Me By Your Name” helmer Luca Guadagnino is directing from a script by Steven Knight. The film follows a financial reporter (Gyllenhaal) who travels to Rio de Janeiro to visit a wealthy friend (Cumberbatch), only to get sucked into a plot to fake his friend’s death. 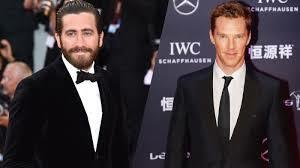 Studiocanal will finance and produce along with Cumberbatch and his Sunny March production company with Adam Ackland as well as Jake Gyllenhaal and Riva Marker who will produce through their Nine Stories banner.